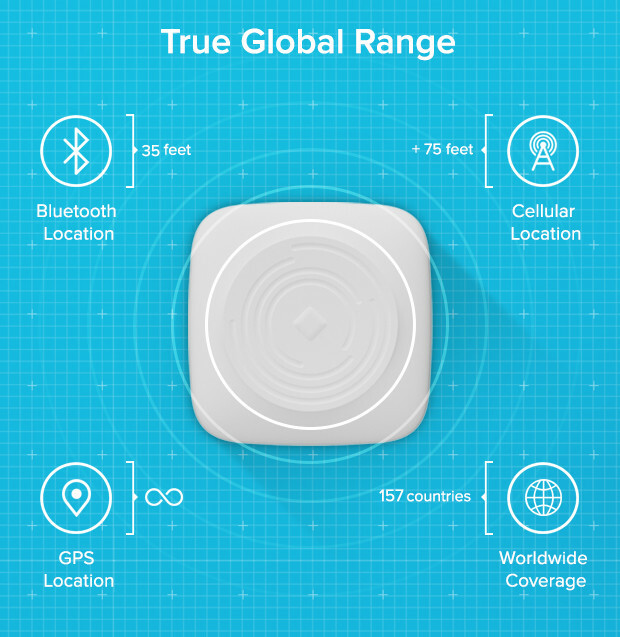 Boasting the smallest size and the longest battery life the Ping GPS Locator is on Indiegogo and has already met it's funding goal several times over. Bluetooth beacons are great tools for the forgetful, but they only go so far in helping with locating devices. While we’ve previously discussed findable technologies, most of those gadgets are only good at locating items which have gotten lost in close quarters such as your home or car. While the promise of the portable GPS tracker has been out in the market for a while, two of the biggest limitations are that they have limited battery lives and/or require expensive subscriptions. Ping is a location device designed to overcome these limitations by providing users with a three-month battery life and affordable cellular plan. The device works in a three-step process. Users first tap what they want to find via the mobile app, the technology then finds the beacon, after which users can see their item location instantly. There’s also an SOS and check-in feature that enables parents and caregivers to know if their child needs assistance or arrived at their destination safely. Parents also have the ability to invite other individuals (family members, caregivers, etc.) to also receive device notifications or view device notifications via the mobile application. For those who are concerned about security, there’s a privacy mode that allows users to shut off the ability to be located while still keeping the ability to “check in” or request immediate help if needed. It’s also worth noting that Ping is only a location device and not to be used for tracking. While tracking devices show complete location histories, Ping only shows the immediate location of the beacon. Ping is built with a rechargeable custom LiPO battery, a HSPA/GSM module, embedded 3G cellular module (which uses Vodaphone’s and AT&Ts 3G cell network), low energy Bluetooth chipset, GPS + GLONASS module, 3 axis accelerometer, and a hard rubber top and bottom for housing. It’s sized at 34mm x 34mm x 12mm, weighs one ounce, has a 300 mAh custom lithium-ion battery, and is waterproof up to 10 meters. 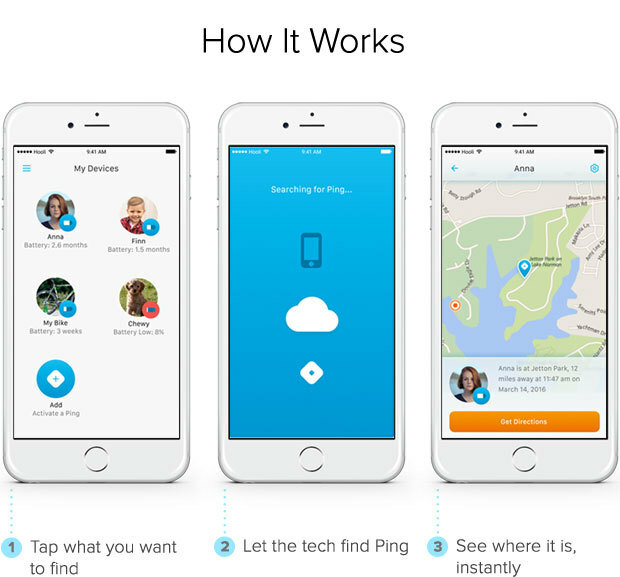 So far the makers of Ping have raised over $330,000 via their Indiegogo campaign. Pricing for the device starts at $99 plus shipping and includes a Ping GPS locator, clip attachment, a one year warranty, and a charging cable. Estimated retail pricing is $129. It also includes a one-year data plan worth $36 which is designed to work in the United States, Canada, and Mexico. For $10 more, users can add on support for over a hundred additional countries. In addition to the mobile app, the makers of Ping are also working on developing a secure web browser interface that is going to be released by the end of 2017. As far as app availability goes, the iOS version will be available immediately, while the Android edition will follow shortly after. The makers of Ping estimate that they’ll start shipping in July 2017. Cheap and just like all of the others. how the heck did this one stand out so much better? I think you answered your own question here! I am struggling to find something that I would track with this thing that does not immediately make me a creep. The data plan might be a turn off for some, but I understand that would be needed to secure a location miles away from the Ping. Nice work! very nice! I think the overall range is really the only feature these things have that is something that can be improved. With unlimited GPS signal, you are moving ahead of all the other products that do a similar thing.